AND SAVE TIME.... Get our Sight Word bundle of worksheets! 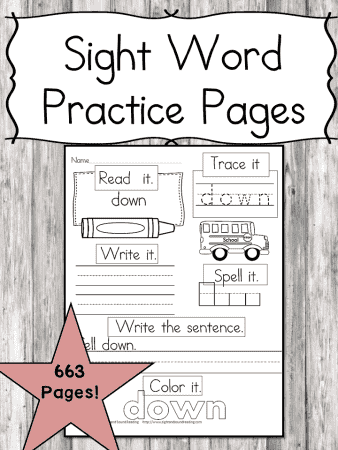 630 Pages - EVERY Dolch Sight Word has 2 worksheets! Yes, it is only $1....BUT, if you are not satisfied, we are not satisfied. No questions asked!